CINCINNATI -- More talk at City Hall Tuesday about revising the streetcar's current management structure. City Council's Major Projects and Smart Government Committee advanced a motion by Vice Mayor Christopher Smitherman, directing the administration to "evaluate options for removing the Southwest Ohio Regional Transit Authority from its role as the operator of the city's streetcar system." 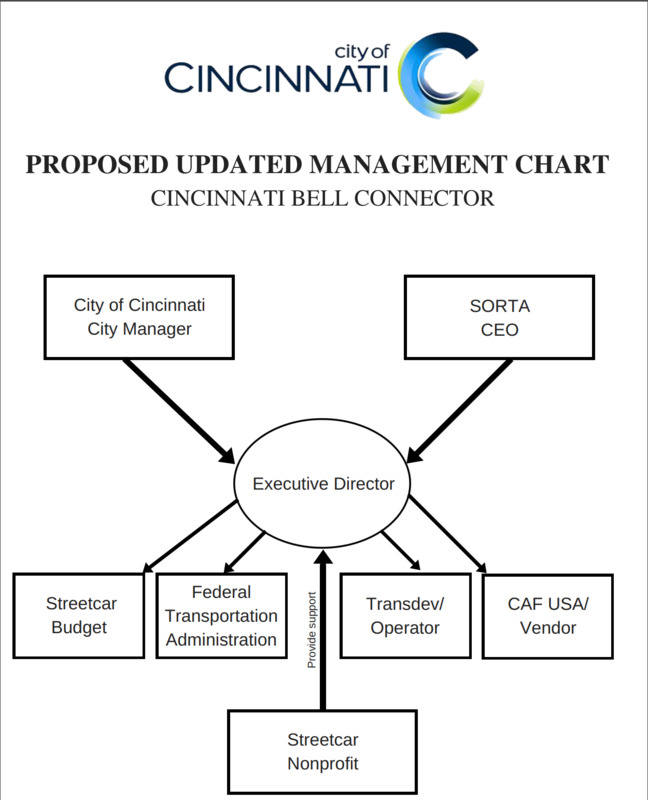 Under its current management structure, the city owns the streetcar, and SORTA oversees a third-party vendor, Transdev, which carries out streetcar operations. The motion asks city administrators to answer questions regarding operations and management costs for the streetcar, what the Federal Transit Administration allows when transferring management responsibilities and amending contracts, and whether SORTA even wants to manage the streetcar any longer, among other considerations. As for that last question -- Is SORTA even interested? -- has precedent: In late 2017, the SORTA board of trustees considered a resolution to hand over streetcar operations to the city , but that resolution failed to pass the previous board. The board since has acquired six new members and a new chairman. Earlier this year, City Council member Greg Landsman proposed a revised management structure for the streetcar that will establish an "executive director" position. That person would report to both the city and SORTA, and oversee the streetcar budget as well as act as liaison to the Federal Transit Administration, Transdev and streetcar vehicle vendor CAF USA. Landsman's proposal will also create a nonprofit to support the executive director. City Council approved Landsman's plan in May. The streetcar's management structure has been a point of strain for the transit system since its launch nearly two years ago. That tension hit critical mass in March after 18 months of technical issues and questions of accountability led Assistant City Manager John Juech to tell City Council, "You need one neck to choke. I don't know if we're going to get where we need to go under this management structure." Pending the report's findings -- and federal regulations -- the city and SORTA would need to enter into arbitration to negotiate a termination of their operations contract.